Without the right technology, between the sales team and their targets is too often a whole lot of wasted time and not enough support to streamline their lifeline; signed contracts. When it comes to a successful marriage, most of us have heard the saying, “Happy wife, happy life.” Well, when it comes to a successful business, the same can be said of its Sales department. The happiness of that department, you’ll find, is largely dependent on the sales enablement tools they are provided and how clear a path they have to productivity. As with most other faculties these days, the right technology is a huge driver of the right results. According to research from Sirius Decisions, spending on sales enablement technology increased 69% between 2012 and 2014 alone; Forbes Insights and Brainshark found that 55% of top performing organizations had invested in sales enablement technology; and Salesforce Research discovered that the highest performing sales teams used almost three times more sales technology relative to their underperforming counterparts. 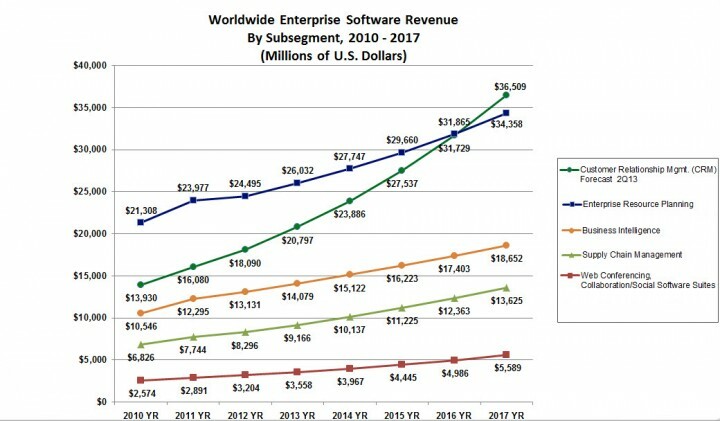 Perhaps the most acclaimed of the effective sales software tools—it seems to have almost surpassed the perceived utility of email—is CRM software like SFDC. When you hear of sales teams who “live” inside of CRM systems, it’s for very good reason; benchmark studies over the last several years have revealed CRM applications have accounted for up to a 41% revenue increase per sales rep and a 24% decrease in sales cycle duration. That being the case, it is critical for companies to provide their sales teams with technology embedded within the CRM interface that continues to shave off unnecessary effort and exists only to enable swift deal execution (one report from Docurated found that sales reps still spend twenty percent of their time on administrative tasks). A good place to start is with the process on which every conversion and every deal depends: signing an agreement. If there is one place in which you should never let your sales reps burn more time than absolutely necessary, it is in getting someone to sign on the dotted line. To give you an example of how CRM-embedded software can not just streamline but optimize almost every stage of the signing process, we’ll dig into the functionality of the SFDC Integration offered by HelloSign, an industry leader in the eSigature software market. Right inside the record is a button; you click that button and then you get a very simple set of options, starting with the choice of reusing an existing template, or creating a new one by digitizing a fresh document. 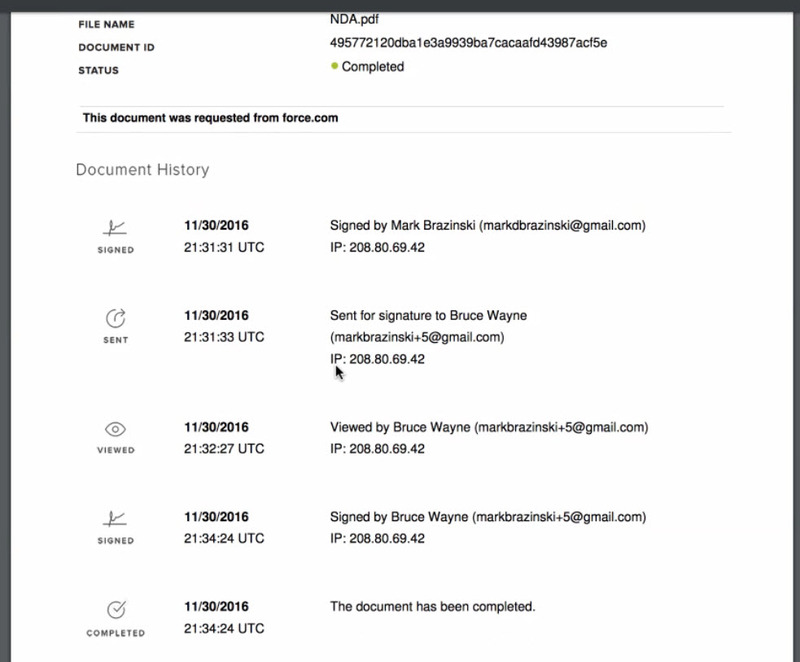 Part of the key productivity gains ingrained in this experience is the access to reusable templates, allowing reps to avoid the hassle of uploading and editing a document every time they need a signature. Here, any agreements previously created and stored for an Opportunity (or an Account or Contact) is readily accessible, requiring minimal work before send-off. Once the pre-configured doc is selected, the rep selects the people that need to sign. Since the HelloSign platform is integrated directly into SFDC, a rep can select any Contact linked to the object from which they kicked off this process. 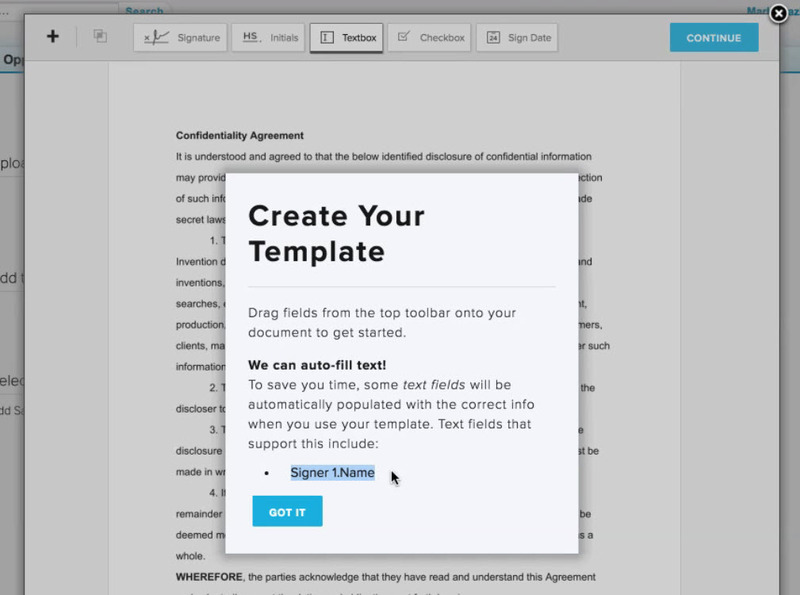 The rep then simply adds a personalized message, is able to preview the final document, and then just fires it off. Because they are working with a template, the rep doesn’t even need to define how many people need to sign, in what order they need to sign, what data should be pre-filled for the signer (to save them time as well), and from where in the SFDC record the system should retrieve that pre-filled data; that’s all defined for them at the time the template is created. A final element of efficiency critical to the sales process is immediate access to insight. At what stage is the prospect? Do they require follow-up? Do we have a deal? As a first step, the HelloSign solution digitizes the entire agreement signing process, so activity updates are available not only in real time, but for a wider variety of activity. As a second step, the integration into SFDC allows the rep to always have the latest information in the most convenient location; right on the record. Once the agreement is executed, the rep has immediate access to the finalized doc. The HelloSign system also spins off a secondary “audit” document (PDF version) that can be reviewed by the rep or easily shared with other stakeholders. We probably didn’t need to tell you that these days, technology is on the critical path to growth for just about any business. On the frontlines of growth is the sales organization. Without the right technology, between the sales team and their targets is too often a whole lot of wasted time (like being trained on new interfaces when an elegant integration into existing ones would do the trick) and not enough support to streamline their lifeline; signed contracts. Do yourself a favor and take the time to explore the best-in-class sales enablement software out there, like the HelloSign SFDC solution we outline above; it’ll make for much happier reps, and ultimately much brighter bottom lines. There is absolutely no reason this software would not be able to help your company succeed. Some of these type of startups are really helping out the little guy! Thank you for showcasing what this company can do for a business! I have been reading a lot about this company and cannot find any reason you should not give them a try! HelloSign has really come around as an all-around business solution. Starting a business is hard enough to deal with when you have different vendors to work with, but when ONE can do all of the work you need things are easier.